Red Whimsy Cat Necklace SALE! | Cat Themed Necklace / Red Whimsy Cat Necklace SALE! This is one of my earlier pieces, so I'm giving it a clearance price today! If you're a jewelry artist yourself, you could easily redesign this piece by clipping the neck wires, and wearing it as a pendant only...or, have some fun recreating a necklace design with the extra beads! 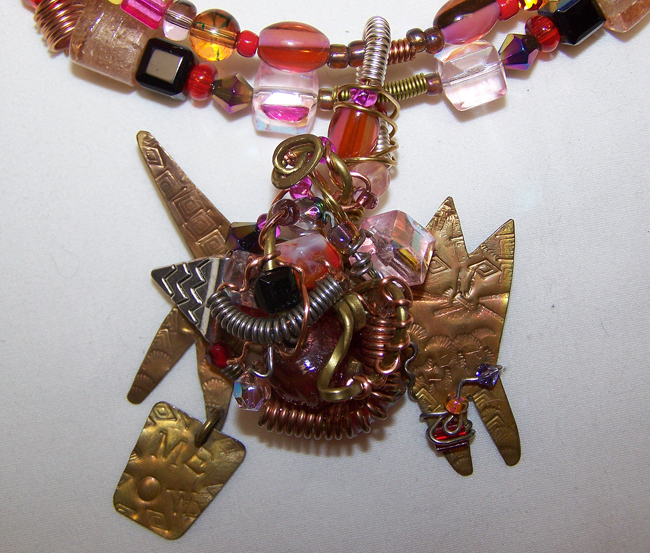 This is a whimsical collaged bead and metal cat in stamped, heat patinaed brass, with an intricate coiled mix of beads in pinks and reds. Strung on a double strand of memory wire with a funky mix of pink and red glass beads and copper wire coils. 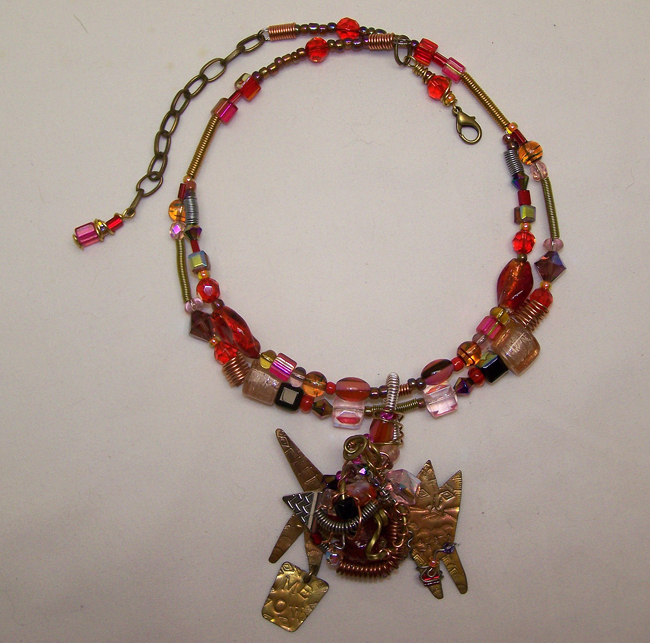 Adjustable chain with lobster clasp for length of 16" to 18". Pendant is 2 1/2" by 3 1/2", including the bail and a charm that says "MEOW". Stamped on back with the artist mark. Designed and made by Mary.